Leslie graduated in 1987 with a Masters of Science in Counseling Psychology from Northeastern University. Her field of focus has been on children and families since the early 90’s. 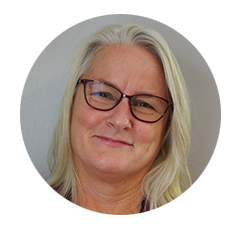 Leslie has since provided training, management, clinical and reflective supervision and direct care in the areas of family treatment, attachment, trauma informed/based treatment and culture. She has provided grant and program oversight in many settings related to providing services for children and families. Hired as the Director of Clinical Services at The Children’s Study Home in June 2015, she is now the Executive Director.